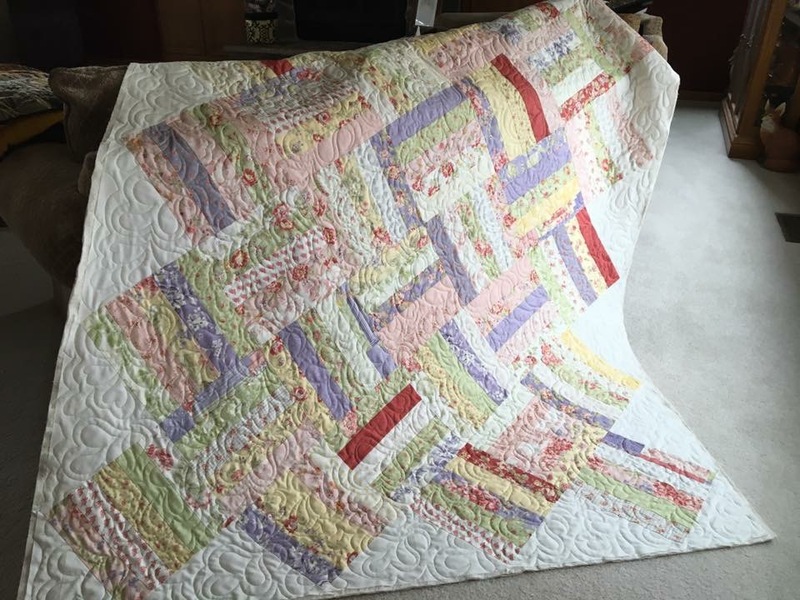 I have lived in several states and always managed to find a good long arm quilter. 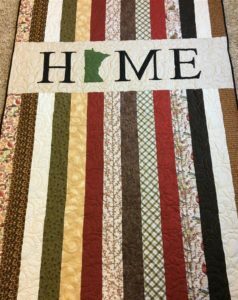 Lucky for me, I found one of the best in Minnesota. Anne has the unique ability to translate my random thoughts into art. 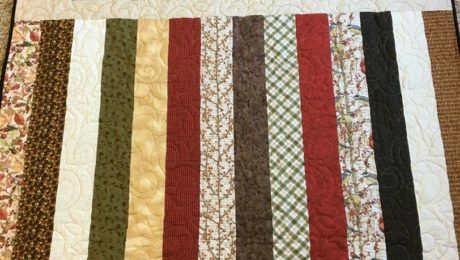 With her different class offerings, she has helped me stretch my quilting comfort level. 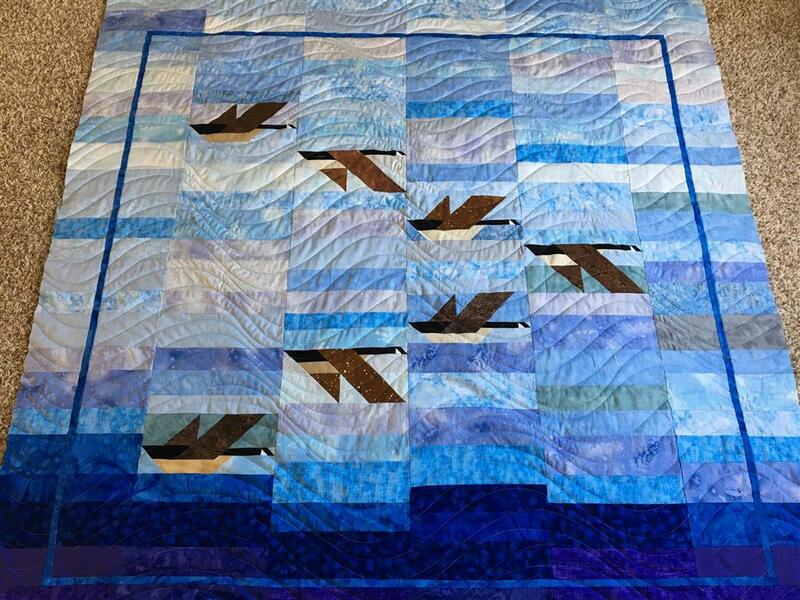 One of the quilts I made in her class won first place at our local quilt show. 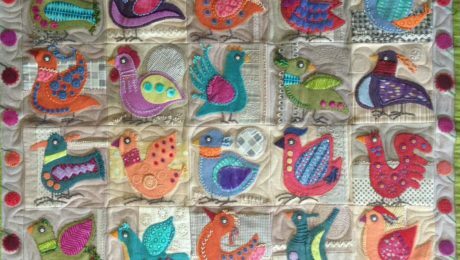 Anne is a true professional with a most welcoming and humble spirit, I would not hesitate to recommend her to any quilter. 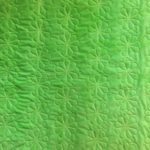 I was looking on-line for a free-form quilter to do different quilt patterns on a top with twenty different blocks. 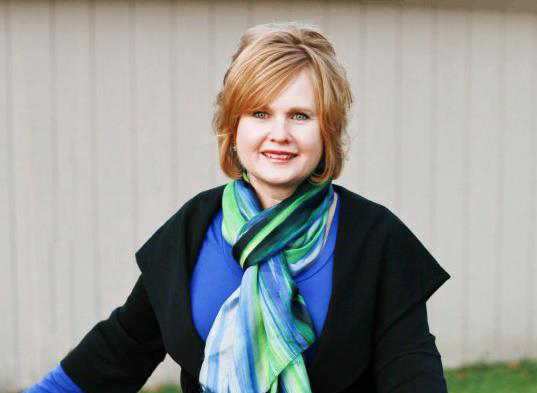 When I met with Anne, I knew she was the person who understood what I wanted. 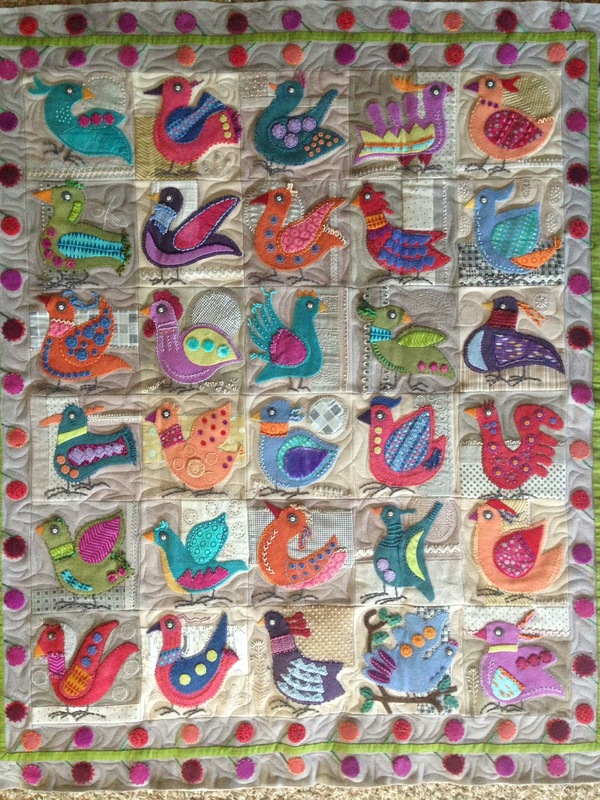 But when I got the quilt back, I was just amazed at her work! 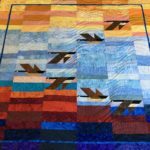 She transformed a very basic block quilt into a work of art. 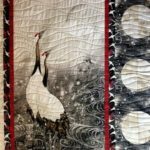 I had no idea she could do such beautiful free-form quilting. It will be an heirloom in our family now. 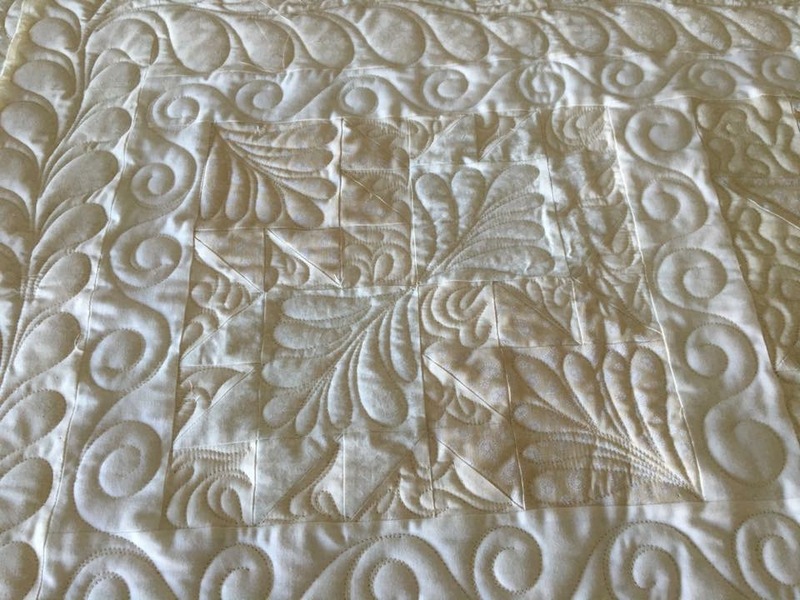 This quilt was mostly made from scrap white, natural, and ecru fabrics. 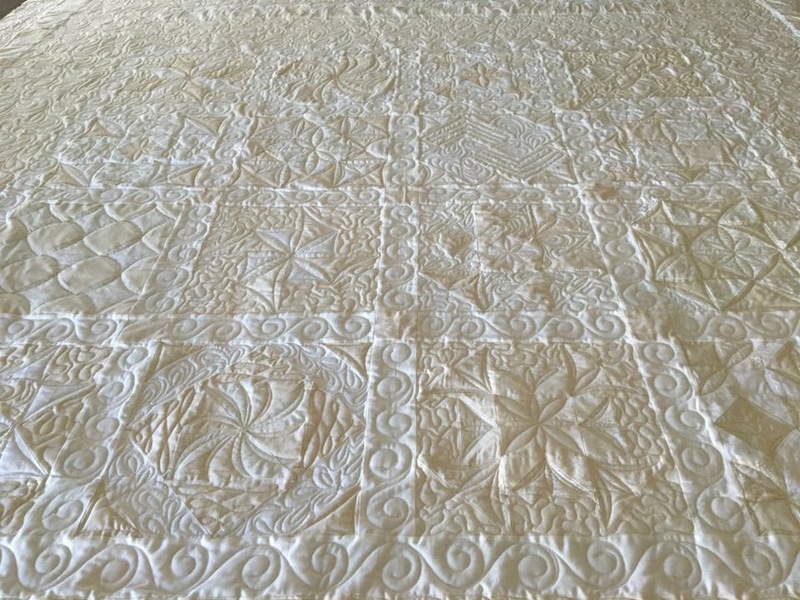 I am just a “winter quilter” and have made three quilts for our cabin over the years; these were machine quilted by another great free-form quilter who no longer does this work. 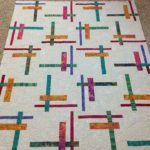 I have made assorted table runners and wall hangings and have enjoyed hand quilting such smaller projects. 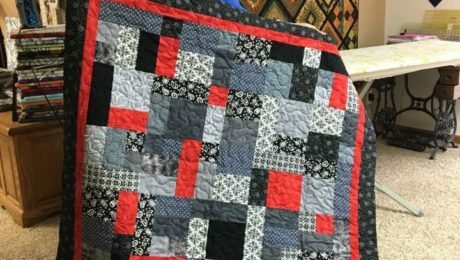 Anne introduced me to a whole new world of machine quilting. Many thanks, Anne. My name is Mary. 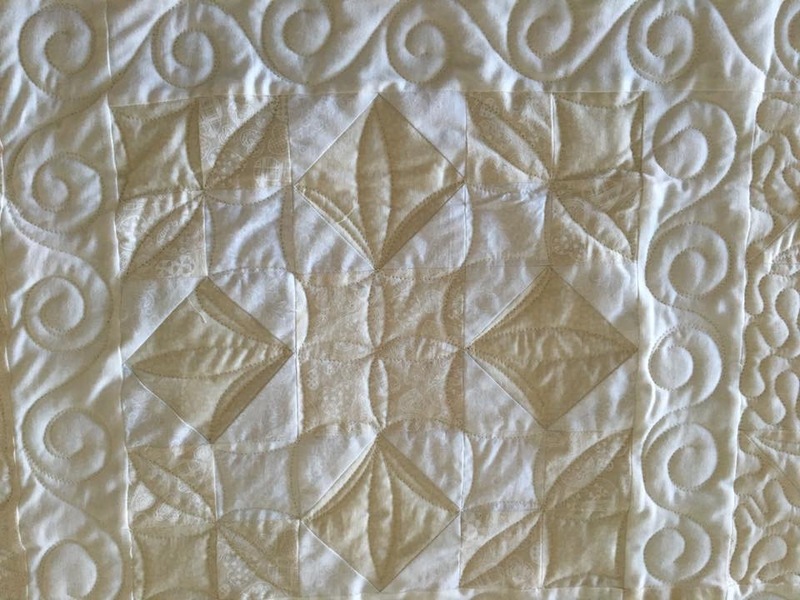 I have been quilting for about 16 years now. 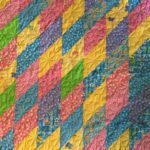 My favorite materials are the batiks and geometric styles. 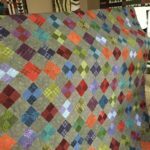 I tend to lean toward brighter colors, but have just completed a flannel quilt for my husband which was pretty subdued. 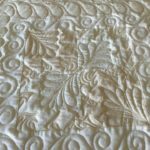 Besides Anne being my ‘ quilt lady’, she has assisted me in choosing design patterns that helps me get the flow that I’m looking for. 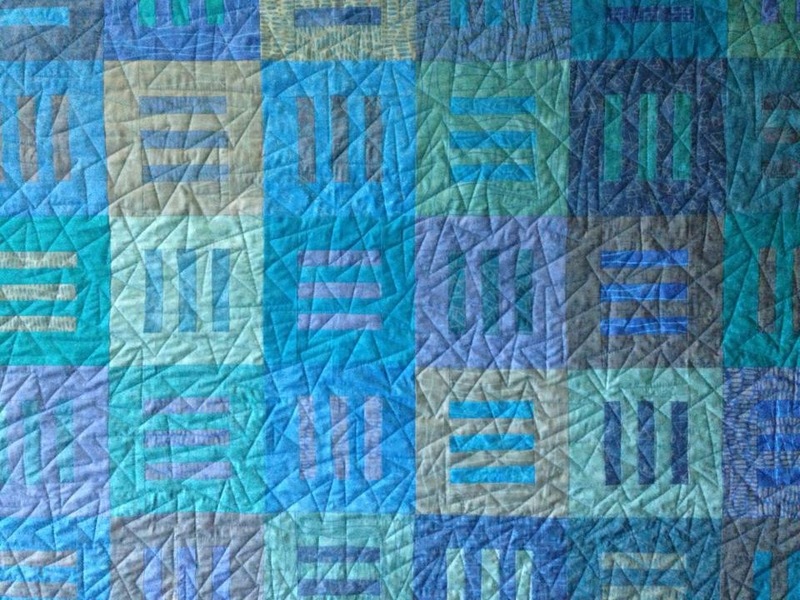 Hence my music quilt was created. 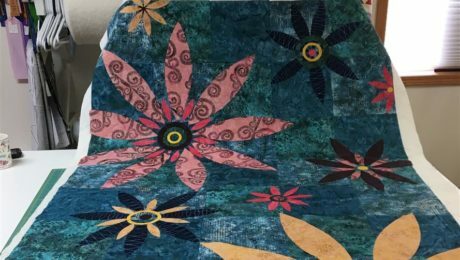 I have taken several classes from Anne- trying new things- T-shirt quilt, Judy Neimeyer wall hanging, Fields of Flowers to name a few. 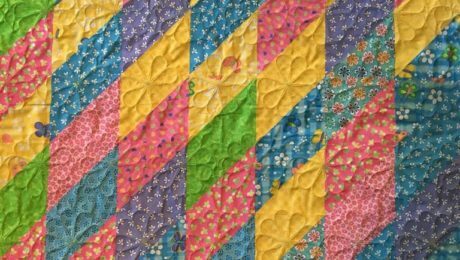 She has helped me ‘read’ patterns when I’m stumped and offers help in the block layout when I’ve needed that. 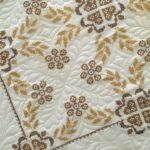 I have taken my quilts to Anne for all these years-she is my ‘go to person’ for finishing up my quilt tops. 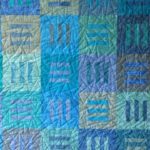 It continues to amaze me how the final detail of thread choice and design pattern helps create the life of the quilt. 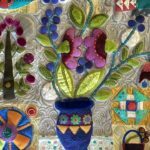 I am grateful for finding Anne and her amazing abilities. 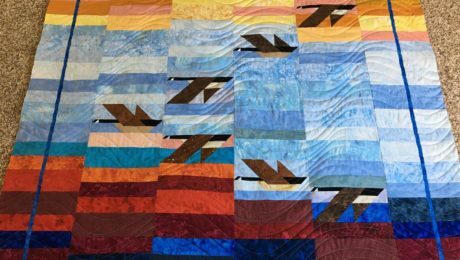 I started quilting about 8 years ago when I made a going-away-to-college quilt for my daughter which Anne very creatively quilted for me. 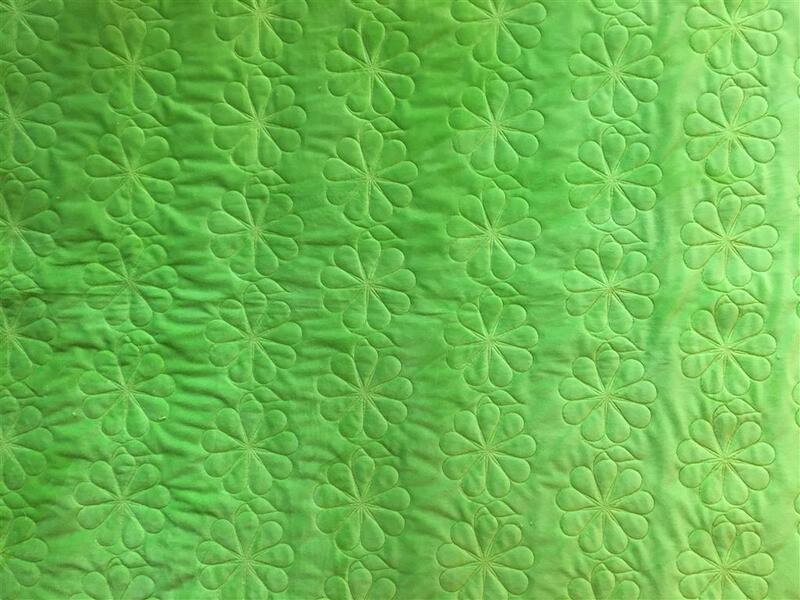 That single project has since blossomed into a life-time hobby. 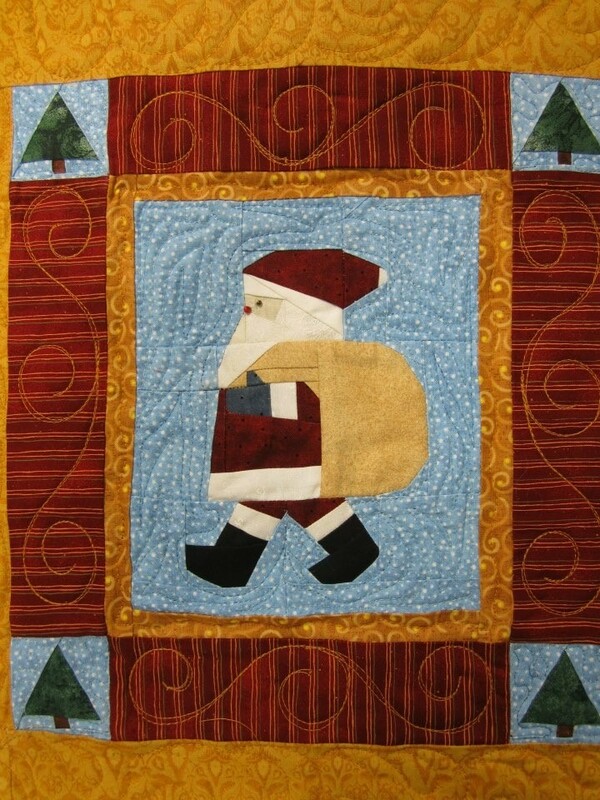 Since then, I have brought over 35 quilts and Christmas tree skirts of all sizes to Anne for long-arm quilting. 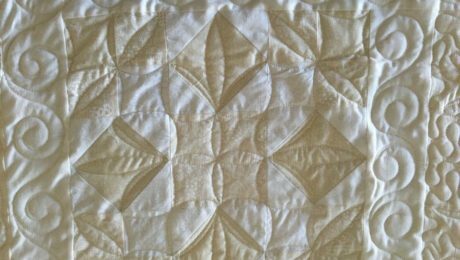 It was Anne who first suggested that I enter a quilt into the county and state fairs. 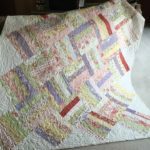 Since then I have done so annually and have won many ribbons, thanks to the polished look that Anne’s work adds to my quilts. 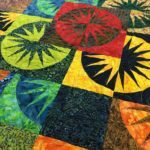 Sometimes I have a vision in mind and other times I don’t, but Anne always has good suggestions and ideas about what will work for my quilts. 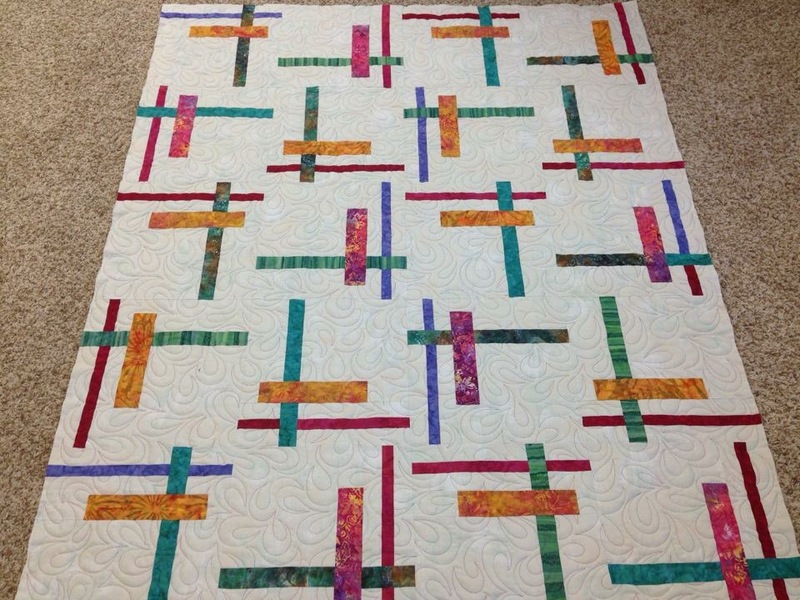 This is especially challenging since I usually make my quilts two-sided (that is, the “back” side is also pieced). No matter what I bring to Anne, I’m always pleased with the end result. 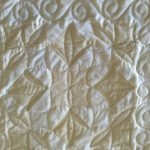 Anne does fabulous quilting. 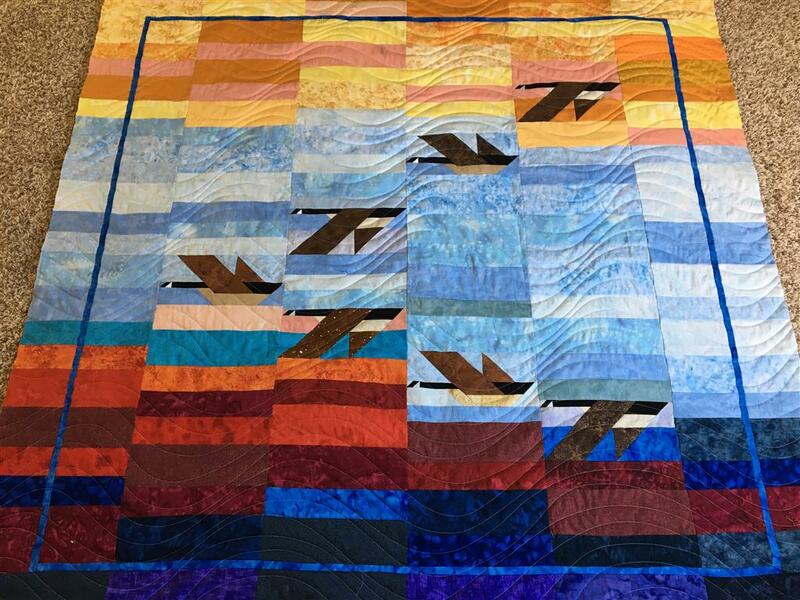 Her artistic abilities in viewing what will enhance a quilt top to make it outstanding is a true gift. 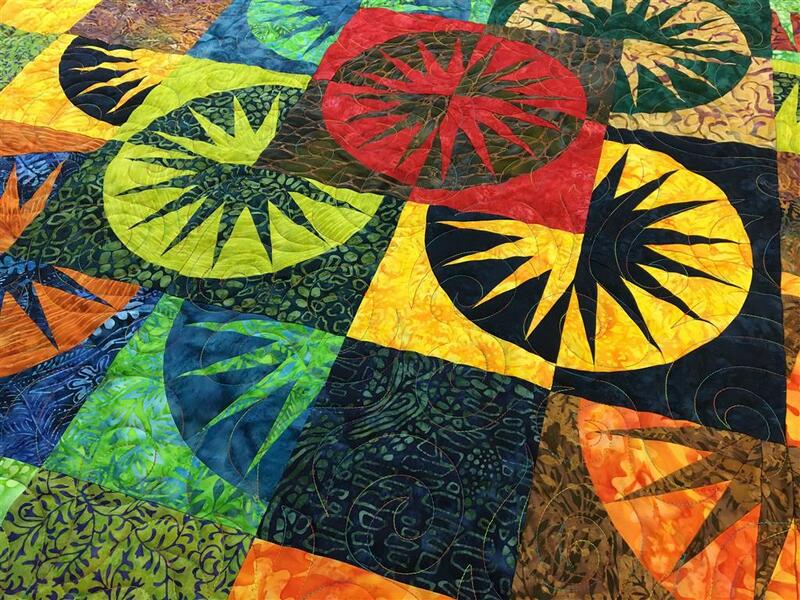 Anne’s free-motion quilting transform a quilt into a work of art, highlighting it’s beauty. 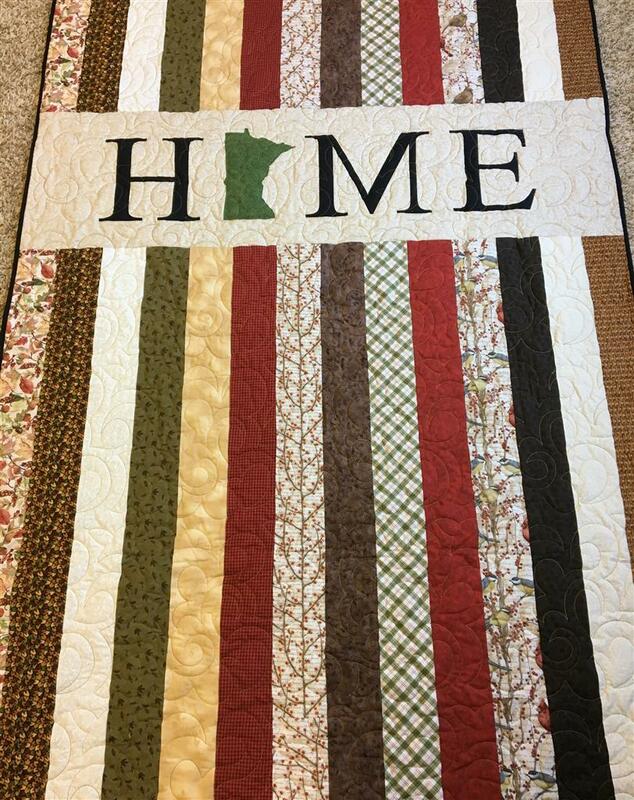 Sending my quilts from Michigan to Minnesota has been worry free, I notify her when I mail it, in turn, she let’s me know when she receives it. No problems whatsoever. 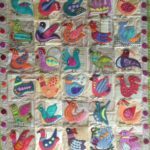 Anne is gifted, artistic and a great lady! 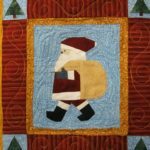 I have been bringing my quilts to Anne since before she moved into town. 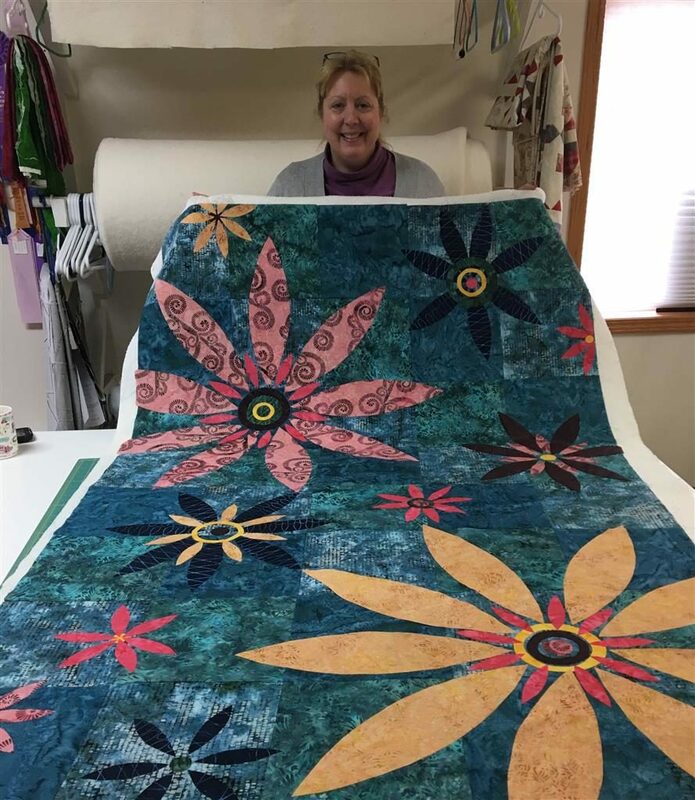 Why do I travel from Burnsville to have her quilt my projects? Because she is the best! 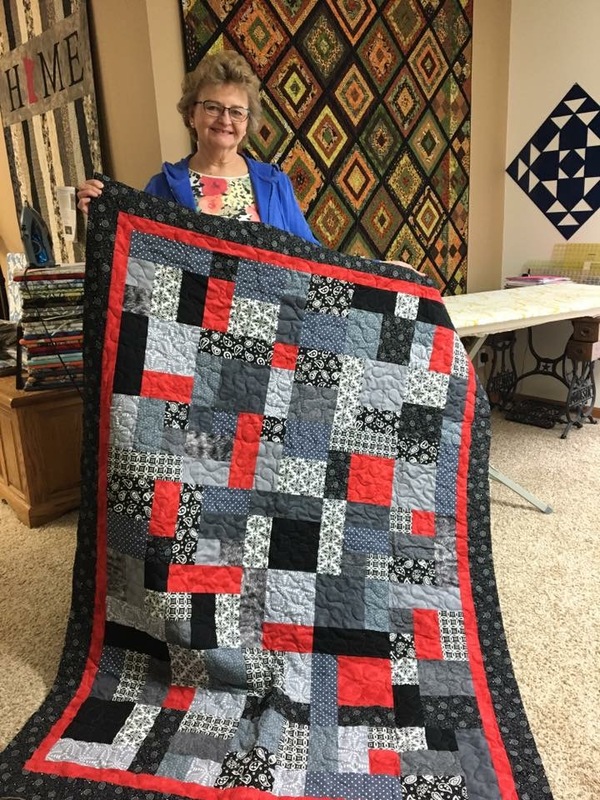 She’s creative in her quilting designs and chooses the perfect quilting thread colors; and her prices are very reasonable! 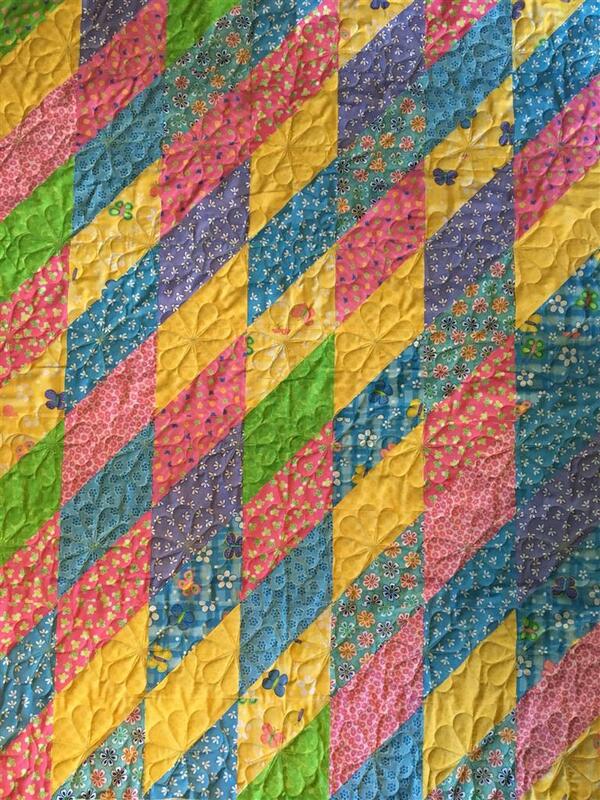 She gives back to me a quilt more beautiful than I dropped off😊. Can’t ask for more than that. 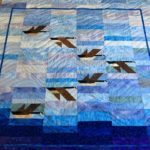 My experiences at Down Under Quilting have all been amazing. 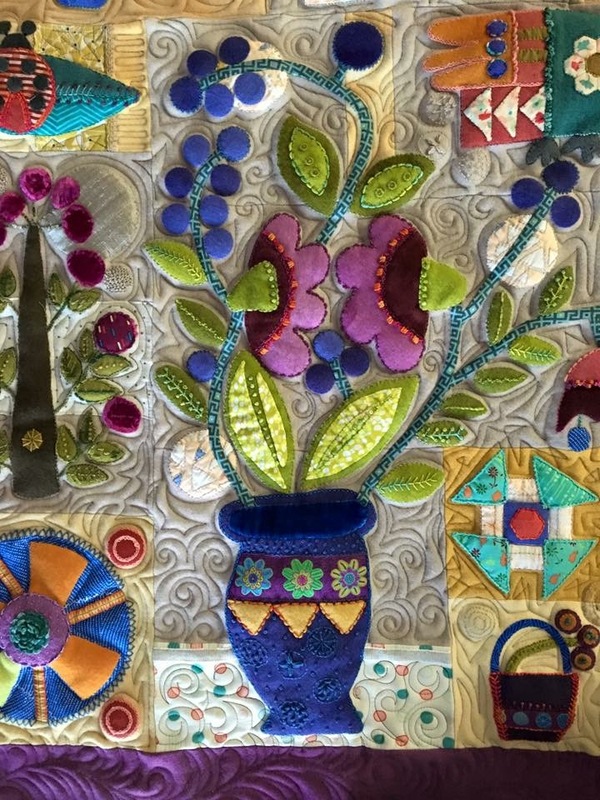 The warm atmosphere which Anne has created in her work space is a place you want to come back to. Anne’s directions and process are clear and she is always prepared. 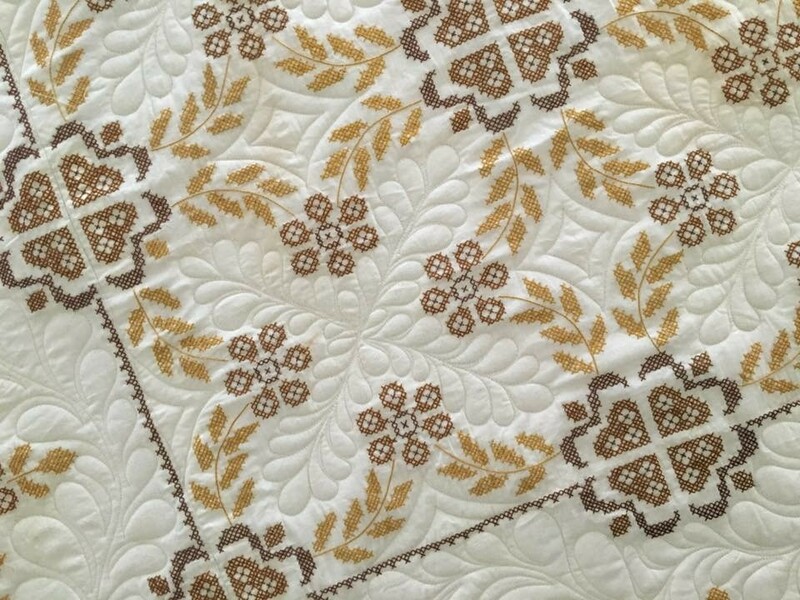 The quilts I have made with Anne are truly treasures to me and my family. 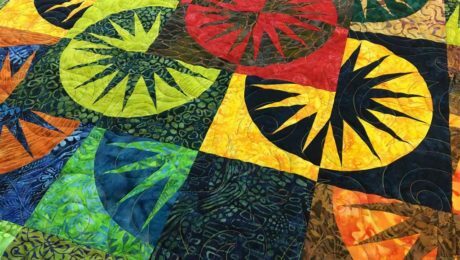 Down Under Quilting provides superior long arm quilting skill like no other. 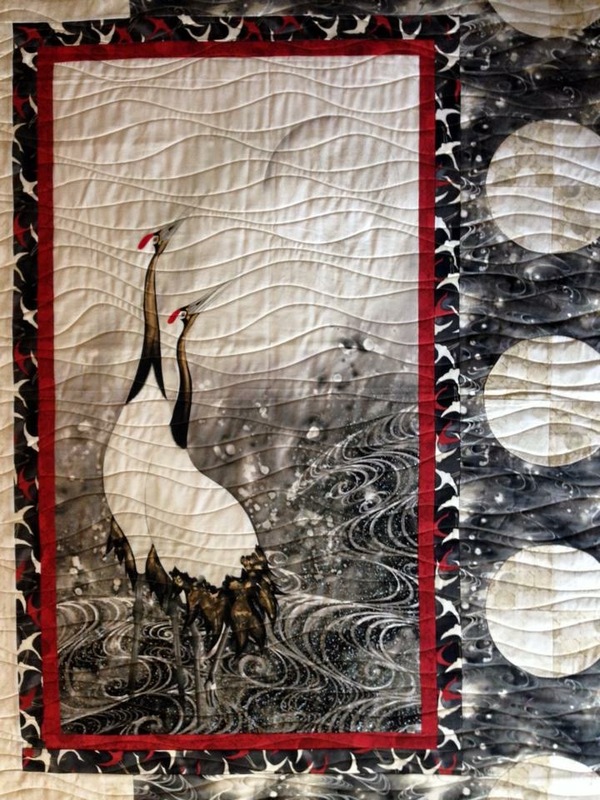 Anne’s talent with quilting brings an unsurpassed beauty to already stunning works of sewn art. 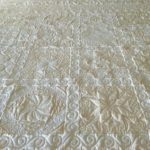 I also take classes with Anne, and she makes quilting effortless. I highly recommend her services. 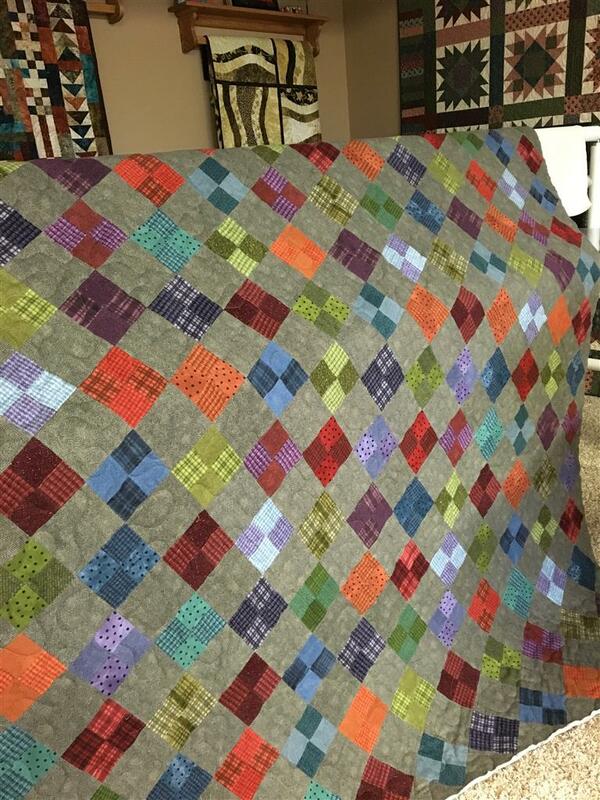 Here is a photo of a super simple, yet sweet quilt I made at a recent class.